BAGHDAD — The United States embassy in Iraq is to increase its reliance on local goods and services as part of efforts to cut the size of its mission, the largest in the world, a top State Department official said on Wednesday. “We’re basically telling our contractors we expect them to source more of the food internally than bringing it over the border, and so that will obviously lessen our dependence on some of the contracts,” Nides said. “We have a very much aggressive hire … Iraqi programme, meaning that we’re being very clear not only to our contractors but even here for our staff to begin to localise much of our operations,” he said. Contractors, he said, have been given targets to reach. Cuba’s Supreme Court has upheld a 15-year prison sentence imposed on a US contractor accused of crimes against the state. 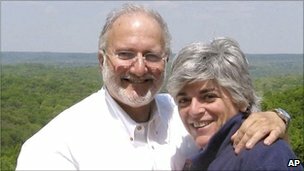 The contractor, 62-year-old Alan Gross, was convicted in March of distributing illegal communications equipment in Havana. He says he was just trying to help Cuba’s small Jewish community. The rejection of his appeal is likely to further sour relations between the US and Cuba. In his appeal hearing last month Gross admitted bringing satellite equipment into the country, but said he never intended to harm the Cuban government. The Supreme Court rejected his argument, saying he was part of a US government programme aimed at “destabilising” and “subverting” Cuba’s communist system. Gross’s US lawyer, Peter Kahn, said in a statement that his family was “heartbroken” by the decision, but remained hopeful that there could be a diplomatic solution. McLEAN, Va. — Defense contractor SAIC Inc. and Tetra Tech Inc., an engineering and construction consultant for water and energy projects, said Wednesday that their joint venture received a contract to provide civilian police and criminal justice assistance to the U.S. Department of State. Under the contract, Integrated Justice Systems International LLC will compete for task orders to provide technical assistance, training, logistics and infrastructure services to help the Department of State strengthen criminal justice systems in foreign countries. The joint venture is one of six teams that can compete for task orders under the contract, the companies said. The multiple-award, indefinite delivery/indefinite quantity contract could be worth $10 billion, with one base year and four option years, the companies said. 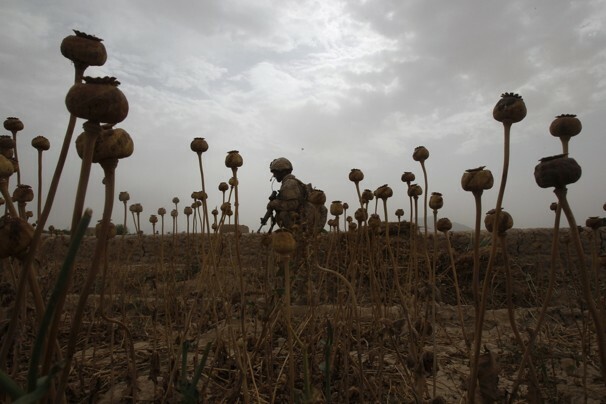 U.S. contractors with almost $2 billion worth of counter-narcotics business in Afghanistan will get more scrutiny than they faced for work completed in Latin America over the past decade, government officials said. DynCorp International, Lockheed Martin, Raytheon, ITT and ARINC, which are working with the Defense and State departments on anti-drug efforts in Afghanistan, performed similar work in Latin America with inadequate competition and little oversight, according to a report by the majority staff of a Senate Homeland Security subcommittee and a previous investigation by the Pentagon’s inspector general. The contractors should expect new accountability measures at State and the Pentagon, as well as heightened scrutiny from Congress, as the United States seeks to stabilize the government in Afghanistan, where drug trafficking generates as much as $100 million a year for the Taliban, officials said. “Many of the things we’ve been doing in Afghanistan, it’s not reinventing the wheel — we’ve been doing it in Colombia for a decade, and with many of the same contractors,” said Laura Myron, a spokeswoman for Sen. Claire McCaskill (D-Mo. ), chairwoman of the subcommittee. McCaskill is to convene a hearing this week on Afghanistan contracting, at which she’ll address the counter-narcotics work, Myron said in an e-mail. The American civilian killed earlier Thursday was Dr. Stephen Everhart, said a U.S. State Department spokeswoman, Victoria Nuland. “Dr. Everhart was an American citizen who was working in Iraq for an implementing partner of the United States Agency for International Development’s Mission in Iraq. He was killed while working on a project to introduce a new business curriculum to a Baghdad university in a program supported by the Iraqi Ministry of Higher Education,” she said in a statement. “We are saddened by this tragedy and extend our thoughts and prayers to Dr. Everhart’s family and loved ones, and to the three other injured victims and their families,” she said. Everhart worked at the American University in Cairo, where he was associate dean of the Business School and a finance professor. Before joining AUC, he worked extensively with the World Bank and the Overseas Private Investment Corporation, a U.S. government agency designed to help businesses break into developing markets. He also wrote articles on topics like international aid, corruption and financial markets. Officials at Georgia State University said Everhart listed San Antonio, Texas, as his hometown on his registration paperwork. Everhart got both his master’s and doctorate in economics at Georgia State in Atlanta. Mary Beth Walker, dean of the School of Policy Studies, said Everhart met his wife, Stephanie, while in graduate school there. She described him as a “hard worker” with a good sense of humor. Walker said Everhart had contact with Georgia State faculty members in the last two weeks about his work in Iraq and said he was planning to move to Vietnam soon to work at a university there. The State Department gave no information about how he was killed, but an Iraqi police official said the American contractors were visiting a satellite office of Mustansiriyah University in eastern Baghdad when they were hit by a roadside bomb. By Ned Parker, Los Angeles Times June 23, 2011, 8:45 a.m. The civilian contractor and another American who was wounded in the blast were attacked in eastern Baghdad on the way to a Baghdad University campus, the U.S. Embassy reports. A U.S civilian contractor was killed and another American wounded in a car bomb attack in eastern Baghdad on Thursday, according to the U.S. Embassy. The slain American had been traveling to Baghdad University’s Mustansiriya campus when attackers detonated a car bomb near Palestine Street, a busy commercial avenue. A U.S. Army helicopter brigade is set to pull out of Baghdad in December, as part of an agreement with the Iraqi government to remove U.S. forces. So the armed helicopters flying over the Iraqi capital next year will have pilots and machine gunners from DynCorp International, a company based in Virginia. On the ground, it’s the same story. American soldiers and Marines will leave. Those replacing them, right down to carrying assault weapons, will come from places with names like Aegis Defence Services and Global Strategies Group — eight companies in all. All U.S. combat forces are scheduled to leave Iraq by year’s end, but there will still be a need for security. That means American troops will be replaced by a private army whose job will be to protect diplomats. Already, the State Department is approving contracts, but there are questions about whether it makes sense to turn over this security job to private companies. Overseeing the armed personnel is Patrick Kennedy, a top State Department official. “I think the number of State Department security contractors would be somewhere in the area of between 4,500 and 5,000,” Kennedy says. That’s roughly the size of an Army brigade, and double the number of private security contractors there now. The State Department has an in-house security force, but it has just 2,000 people to cover the entire world. They handle everything from protecting Secretary of State Hillary Clinton to guarding embassies and consulates. Kennedy says for a tough job like Iraq, he needs help. “In a situation like this, where you have a surge requirement that exceeds the capability of the State Department, it is normal practice to contract out for personnel to assist during those surge periods,” he says. But the State Department has a shaky record overseeing armed guards. 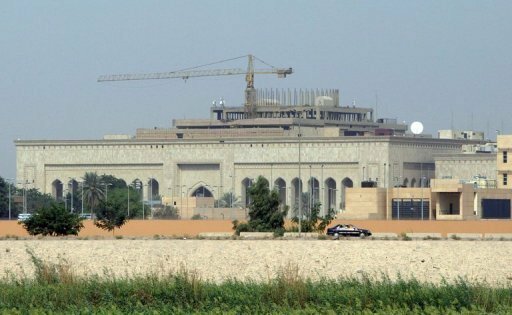 A recent congressional study found that many contractor abuses in Iraq were caused by those working for the State Department, not for the Pentagon. 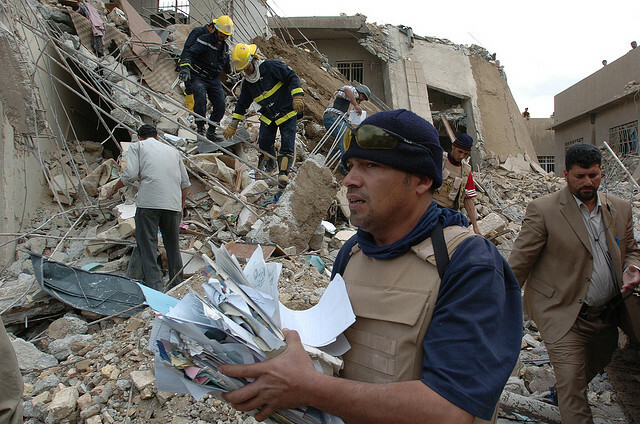 The most notorious was the shooting of 17 Iraqi civilians at a Baghdad traffic circle in 2007. Guards with the private security contractor Blackwater opened fire while protecting a State Department convoy. A U.S. investigation later found there was no threat to that convoy. Among those contractors who will be working in Iraq next year is International Development Services, a company with links to Blackwater, now renamed Xe Services. State Department officials say they’ve made changes since that deadly incident in Baghdad. There are now more State Department supervisors; contractors must take an interpreter on all convoys; and companies can be penalized for poor performance. But Grant Green, a member of the Commission on Wartime Contracting created by Congress, says that’s not enough. He told a House panel recently that the State Department still isn’t ready to assume responsibility for Iraq next year. “They do not have enough oversight today to oversee and manage those contractors in the way they should be,” Green says. Kennedy of the State Department disputes that contention. He says there are plenty of supervisors who shadow these private contractors. “We have trained State Department security professionals in every convoy in every movement in Iraq,” Kennedy says. ‘Beef Up’ State Department Forces? But that raises a broader question: Should the State Department be turning over these inherently military jobs to private contractors? Pratap Chatterjee of the Center for American Progress doesn’t think so. Chatterjee, who writes about contractors, says these are government roles that demand accountability to the public. He has another idea about what should be done. “You might as well beef up the Bureau of Diplomatic Security,” he says. That means greatly expanding the State Department security force of 2,000 that now covers the entire world. “And make sure you have the capability for future operations in countries like Libya or wherever it is, rather than assuming the private contractors will do a good job because you’ve written a good contract. That’s just not good enough,” Chatterjee says. It may be impractical to hire thousands more State Department security personnel. Stuart Bowen, the special inspector general for Iraq reconstruction, says today’s wars are different — they’re lengthy and ambitious. So it doesn’t make sense to build a large force to protect diplomats. “I don’t expect that the United States is going be engaged in a stabilization operation of the size of either Iraq or Afghanistan in the near future,” Bowen says. That may be true. But for the time being, private security contractors — thousands more — will soon be on the job in Iraq. Washington, Feb 13: The United States has postponed a high-level trilateral meeting among the US, Pakistan and Afghanistan that was scheduled to take place later this month, in what seems to be a retaliation against the continued judicial remand of double-murder accused US diplomat Raymond Davis in Lahore. The trilateral talks, in which top officials were to have outlined the progress on issues like the war in Afghanistan and the campaign against extremism, had been scheduled for February 23-24 in Washington. “In light of the political changes in Pakistan and after discussions with Afghan and Pakistani officials in Washington, it was agreed to postpone the Trilateral Meeting scheduled for February 23-24,” US Assistant Secretary of State for Public Affairs Philip J. Crowley said in a press statement. The step is being seen as an American arm-twisting of Pakistan to release Davis, who has confessed to shooting dead two Pakistani men in Lahore, allegedly in ‘self-defence’. “We look forward to convening a very productive Trilateral Meeting at the earliest opportunity,” he added. The latest development- the postponement of the trilateral dialogue- seems to be the fallout of the diplomatic row between the two countries on the Davis detention issue. It is noteworthy that according to an ABC News report, two Pakistani officials involved in negotiations about Davis said that Donilon summoned Pakistan’s Ambassador to the US, Husain Haqqani, to the White House on Monday evening, and told him that the US will kick Haqqani out of the country, close US consulates in Pakistan and cancel Pakistan President Asif Ali Zardari’s upcoming visit to Washington if the detained US embassy employee is not released from custody by Friday. However, the US Embassy in Islamabad denied the report in a press release titled “Correction for the record”. “Although we are unable to discuss the substance of a private diplomatic meeting, U.S. Embassy Islamabad can state categorically that the description of the conversation in this report is simply inaccurate,” the US Embassy added. According to earlier reports, the US had already warned that the Pak-US high-level dialogue would be at risk unless Pakistan releases Davis, and also threatened to cut aid to Pakistan in that case. 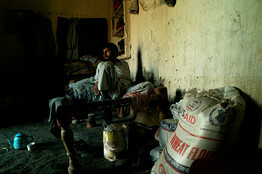 ISLAMABAD, Pakistan—A massive U.S. aid program that has made Pakistan the world’s second-largest recipient of American economic and development assistance is facing serious challenges, people involved in the effort say. The ambitious civilian-aid program is intended in part to bolster support for the U.S. in the volatile and strategically vital nation. But a host of problems on the ground are hampering the initiative. A push to give more money directly to local organizations and the Pakistani government has been slowed by concerns about the capacity of local groups to properly handle the funds. • Some international groups have balked at new requirements, such as prominently displaying U.S. government logos on food shipments, and have pulled out of U.S. government programs. • Anti-American sentiment in the nation continues to flourish despite the uptick in spending, in part because of American drone attacks on tribal regions. A poll of Pakistanis in July by the Washington-based Pew Research Center showed that two-thirds of respondents considered the U.S. an enemy. “Drone strikes cannot be justified because civilians are also killed in them, which further aggravates a tense situation,” said Bacha Khan, a refugee from Bajaur, a tribal region along the Afghan border where the Pakistani army is fighting Taliban militants. Due to various problems, in the year ended Sept. 30, the U.S. spent only about two-thirds of the roughly $1.2 billion appropriated by Congress. Washington (CNN) — Concerned a ban on security contractors in Afghanistan will curtail the efforts of development workers, the State Department is feverishly negotiating with the Afghan government about a set of conditions that will allow private security details to operate in the country, senior U.S. officials told CNN. The officials, who spoke on the condition of anonymity because of the sensitivity of the negotiations, said the United States is concerned about a four-month deadline Afghanistan’s president imposed last month to phase out the country’s 52 private security companies by year’s end. If implemented, the move would leave critical aid personnel unprotected and unable to continue their work, a key pillar of the U.S. strategy as it seeks to stabilize Afghanistan. The U.S. is in intense negotiations with the Afghan interior ministry for a “clarification letter” that would spell out a consistent and uniform set of guidelines by which contractors would be allowed to remain in the country and under what conditions they can operate. The guidelines should be finished within the next week, they said. Diplomatic missions, including the U.S. Embassy in Kabul, rely on private forces to protect their compounds, and NATO uses private forces to guard convoys along their supply routes. Recent events, including the kidnapping and slaying of a British aid worker, have underscored the need for security to accompany aid workers. Officials said discussions over the past several weeks with the Afghan government about the phasing out of contractors have given the United States “very unclear” information about the fate of the contractors protecting nongovernmental organizations (NGOs) working on U.S.-funded projects. For years, Afghan President Hamid Karzai has criticized the private security industry operating in his country — a mix of legally registered international companies and unregulated Afghan paramilitaries. Officials say they are sympathetic to his desire to phase out the illegal companies, but are concerned about the way Karzai has tried to address the issue by decree without any clarification. In the meantime, USAID officials from several NGOs say discussions have been under way about the need for contingency plans for their staffs in the event of the worst-case scenario, under which all contractors would have to leave the country. The United States is rapidly drawing down troops in Iraq, and contractors are picking up the slack. DynCorp International, in particular, employs hundreds of ex-soldiers and cops to act as bodyguards and shepherds for State Department personnel across the country. The company also trains Iraqi police forces. DynCorp is under intense pressure to perform without blemish. Private security companies and their employees are under scrutiny from both the U.S. and Iraqi governments more than ever before because of a string of incidents. Within the military, soldiers who quit to join these companies are derided as “mercs.” The culture among DynCorp’s ranks is similar to that of elite military units — what happens out there stays out there. It’s dangerous. 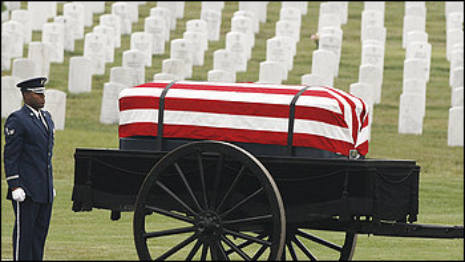 Contractors get killed and injured with regularity. The pay is OK — it starts at $90,000 a year — and the working conditions — living in tents, eating MREs — are harsh. State Department officials have told me that the U.S. is generally pleased with DynCorp’s performance so far … but DynCorp is pretty much the only company that can do what State needs it to do. But one member of an elite unit, a former Army Ranger who asked not to be identified, is concerned that DynCorp and the U.S. government are cutting corners unnecessarily. The U.S. government is responsible for coordinating the vehicle credentialing and registration process with the Iraqis. Iraq’s new bureaucracy changed its rules, delaying the renewal efforts. DynCorp International’s team leaders are not supposed to leave their bases without valid credentials, period — no matter the reason. The decals are important — they allow U.S. and Iraqi troops to see their vehicles as belonging to friendlies. If the decals are out of date and the licenses are expired, DynCorp’s folks can find themselves arrested, or worse. In December, when decals expired, the company continued to operate until a DynCorp team member was arrested, according to this employee. Vehicle decals and licenses issued by the Iraqi government again expired on August 1. And yet, according to the ex-Ranger, team leaders on Monday were instructed by the State Department to continue sending out teams. “Hopefully, no one gets hurt due to this,” the DynCorp employee said. The implicit message, according to the ex-Ranger, was that either the teams go out or they go home — fired, back to the United States. I was not able to reach State Department officials in Iraq, and e-mails sent to the Multi-National Security Transition Command-Iraq were not returned. DynCorp, however, responded fairly quickly to my inquiry. The safety and security of all DynCorp International (DI) personnel who have bravely chosen to work in remote and often hostile environments is a top priority for the Company. In Iraq, our teams have volunteered to operate in a warzone performing dangerous but vital tasks in support of a number of U.S. government programs. 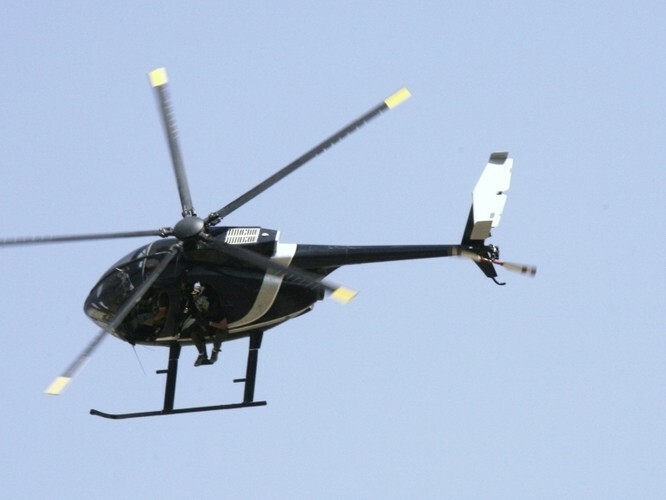 We provide the safest possible environment for our personnel by working closely with the Iraqi government to obtain all licensing and certifications that are required to operate in Iraq.